As part of its efforts to explore new business opportunities for its members and promote Dubai as a global business hub, Dubai Chamber of Commerce and Industry recently conducted a study mission to St. Petersburg, Russia. The trade mission aimed to familiarise the Chamber with commercial opportunities in Russia’s second largest city, and showcase the benefits of trading with Dubai, in addition to its strategic position that provides easy access to growth markets in Africa and Asia. During the three-day mission, the Dubai Chamber delegation met with several representatives of the city’s public and private sectors, including the St. Petersburg Chamber of Commerce, the Economic Development Agency of the Leningrad region, a number of multinational companies, as well as other leading local and international chambers of commerce. Joining the delegation were Mr. Omar Khan, Director of International Offices at Dubai Chamber, and Mr. Sanan Nasibli, Head of the Chamber’s representative office in Azerbaijan, who highlighted Dubai’s strong trade relationship with Russia that contributes to various sectors of the emirate’s economy. 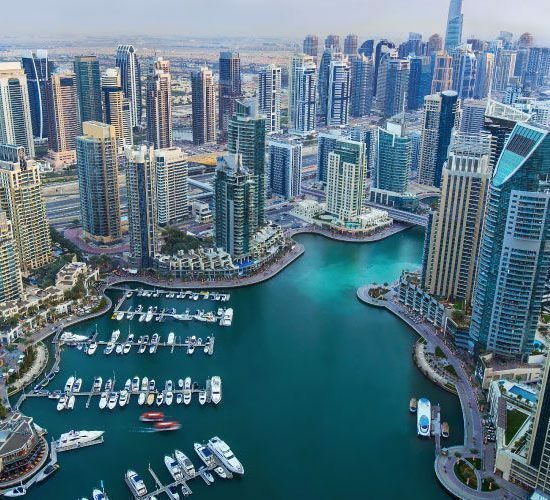 “Dubai remains an attractive market for Russian businesses, investors and tourists. Yet, there is still huge potential to expand our ties in key industries, including hospitality, tourism, agriculture, and pharmaceuticals, especially given the country’s aims to diversify its exports,” said Mr. Khan. During the meetings, the Chamber explored several areas of mutual cooperation and highlighted the active role it plays in helping foreign companies expand their reach to the GCC region through Dubai. In addition, the Chamber highlighted trade and investment opportunities that are being created by the Dubai Industrial Strategy 2030, which aims to elevate the emirate into a global hub for knowledge-based, sustainable and innovation-focused businesses. The delegation was also informed about new measures and strategies being taken by the Russian government and semi-government entities to help boost trade and investment. He added that the Chamber is now looking at investment opportunities which have become more attractive following the challenging economic conditions faced by Russia, as well as the recent devaluation of its currency. 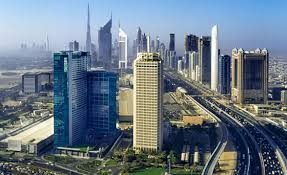 Dubai’s non-oil trade with Russia reached AED 6.7 billion ($1.8 billion) in 2015, marking a 25% increase compared to 2011. In terms of total value, pearls and semi-precious stones dominated the list of products traded between the emirate and Russia last year, followed by base metals and machinery and electrical equipment.